I'll take a look at this but this really looks like a bad JSON file. Please go to the issue tracker and post there (https://github.com/Aang23/UndergroundBiomesConstructs/issues), make sure that you include your configuration file. Not just a snippet of it, but all of it. Don't rely on your bad english, use instead https://translate.google.com. Type in your own language on left side and it'll translate to the selected output language (english by default usually). Copy that new english text and paste it as your description. Also be extremely wordy, looks like you were trying to be concise and ended up losing a lot of your meaning. I noticed when breaking a UBified Mossy Cobble that the breaking particles aren't properly assigned. Please goto the issues page and report this. I want the cobblestone replaced in dimensions 0 and -6. How to write in the config? that's a good question, please post it at https://github.com/Aang23/UndergroundBiomesConstructs/issues and the dev team will respond to you. Loving the idea of this mod. There are a few ores I'd have to add from mods that aren't yet supported by default, however. So I was wondering: What do the various elements of the ore config do, such as meta and light value? And how does the ore directory part work, as it seems to be typically left blank? I have a question. Is it possible to toggle the spawning rate of normal minecraft stone? 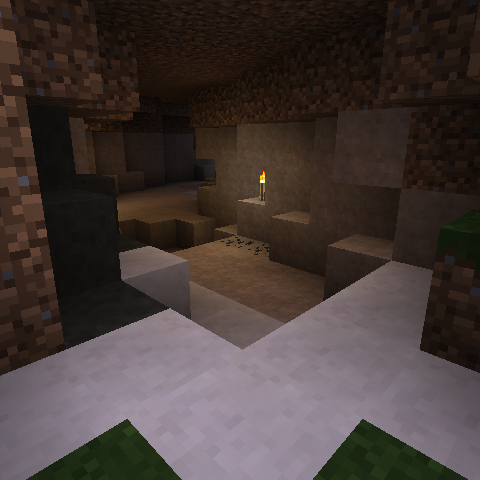 Some mods need these to spawn their ores/fossils and they are not compatible to this mod. Any chance we might see support added for Quark's new speleothem blocks? I'd love to see them in all the different stone types.